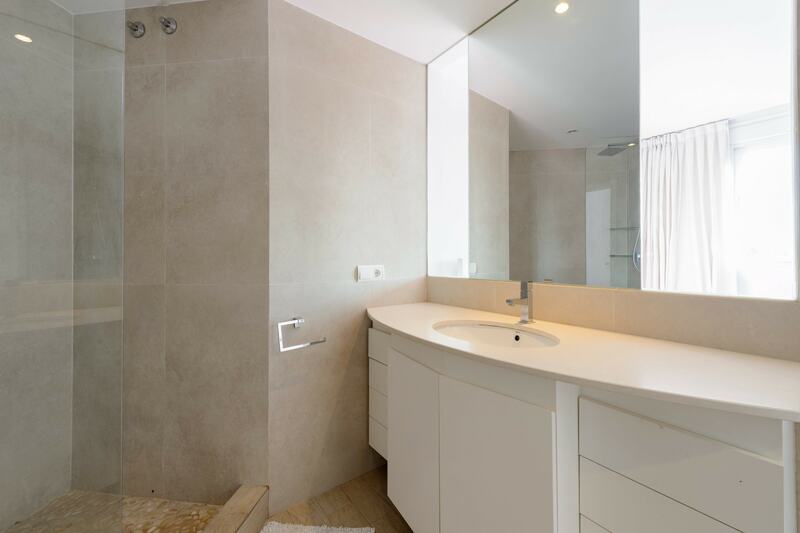 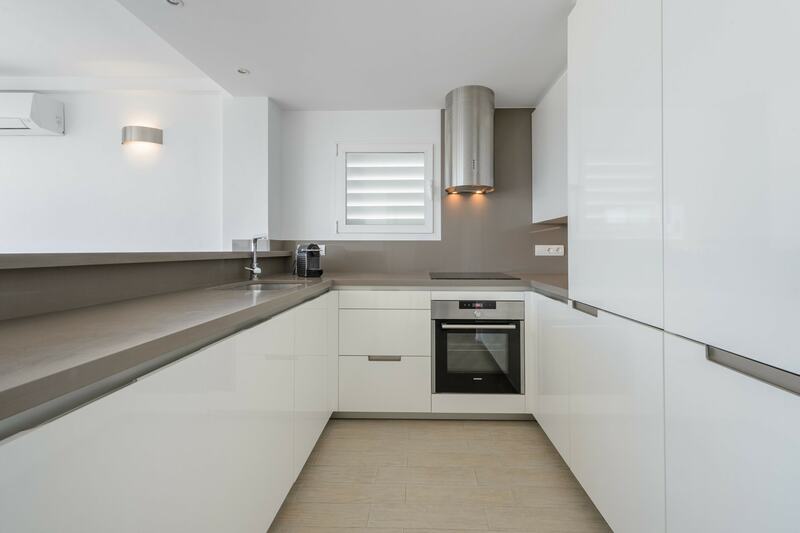 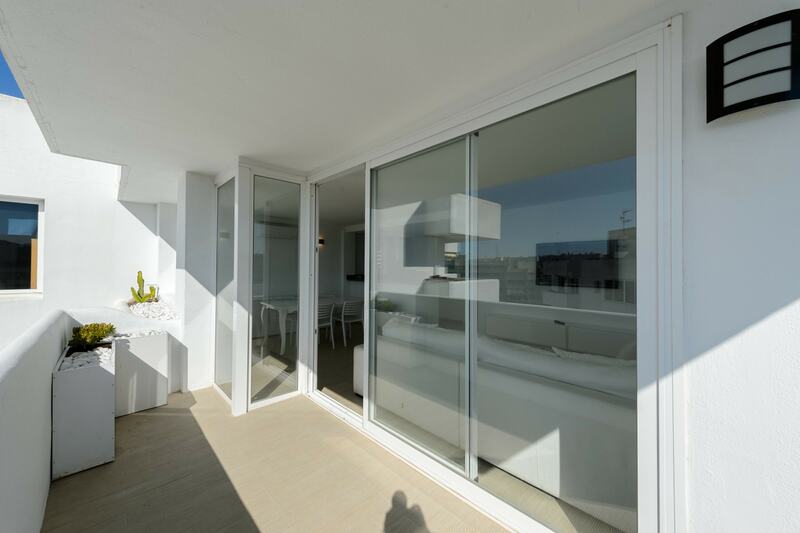 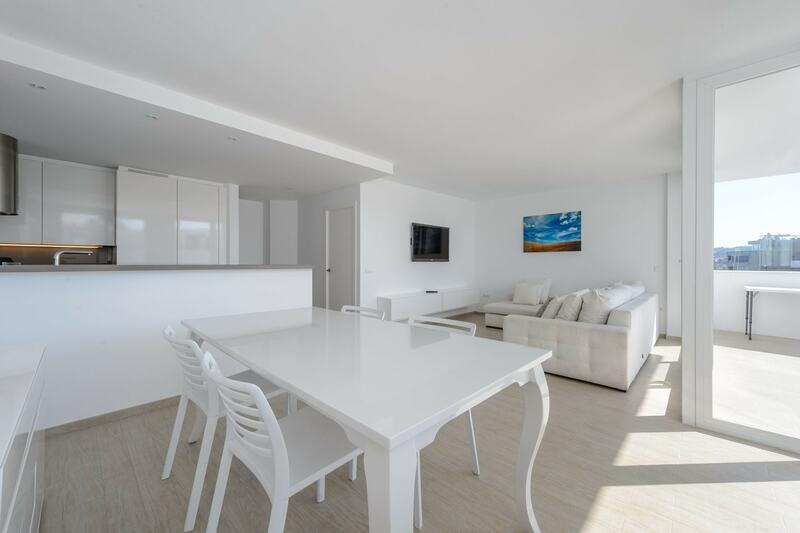 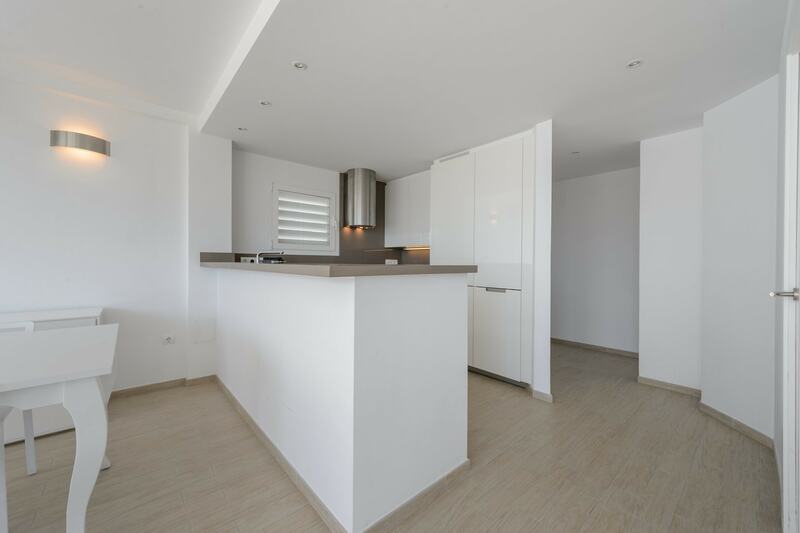 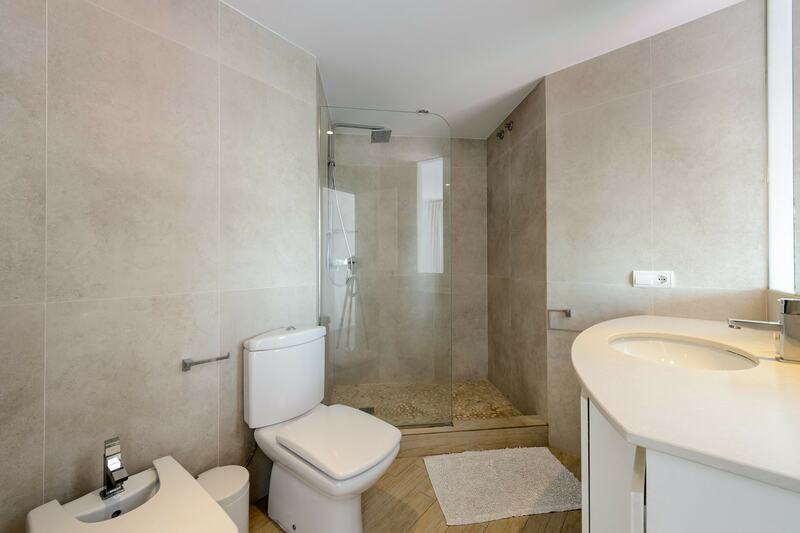 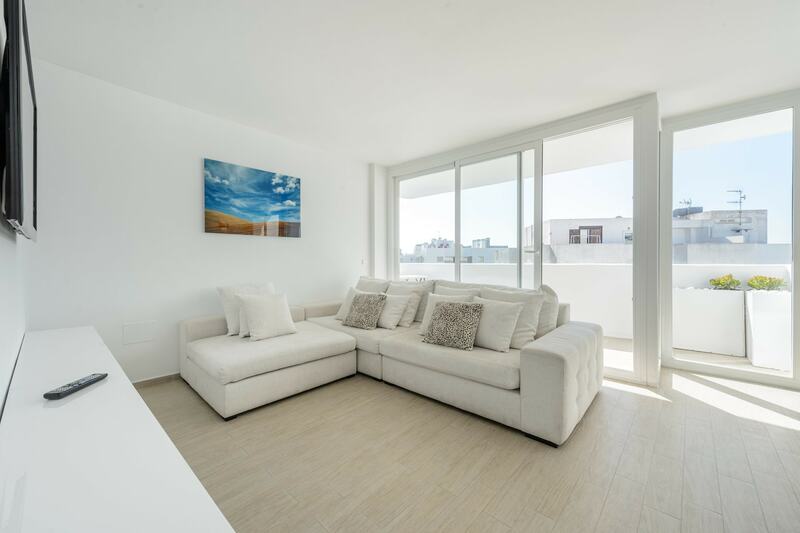 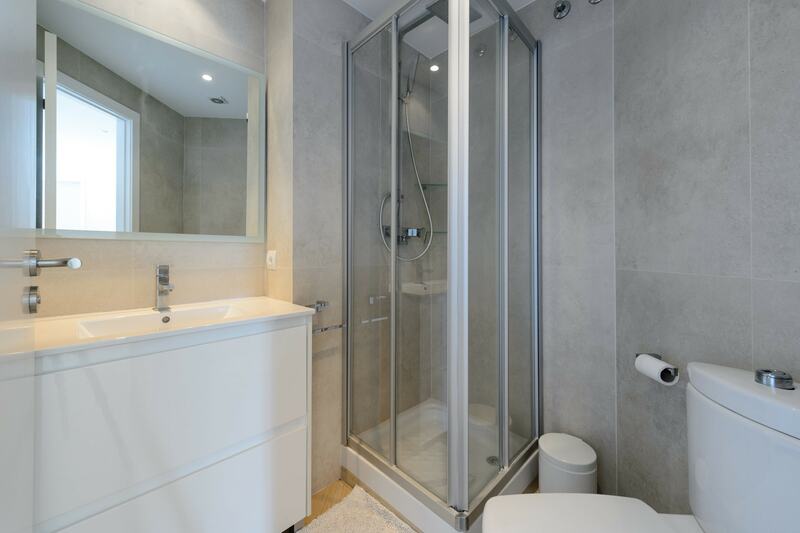 n the immediate vicinity of restaurants, bars and local Night & Playa Talamanca, one of the most popular beaches in Ibiza, we find this brand new apartment with all comfort and attention to every detail. 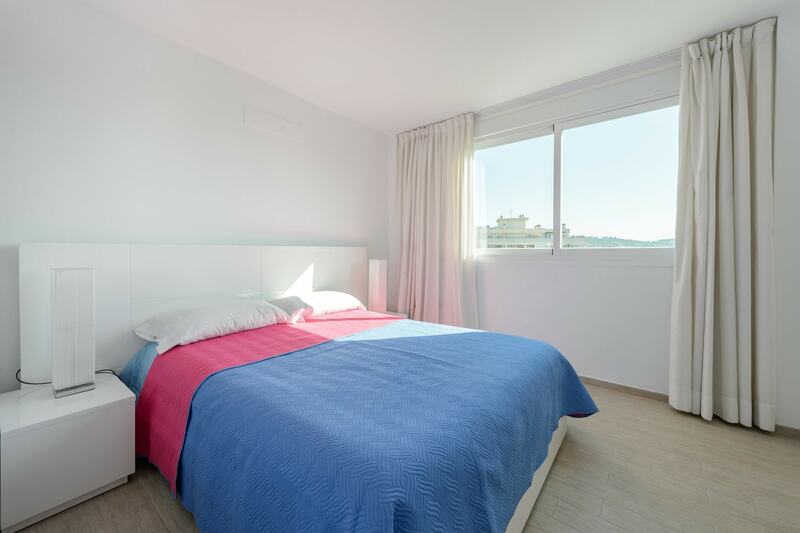 The house, bright thanks to large windows, consists of a large lounge with TV, dining table and a sofa-bed, a full kitchen, two rooms of bed, two bathrooms and a balcony with sea view. 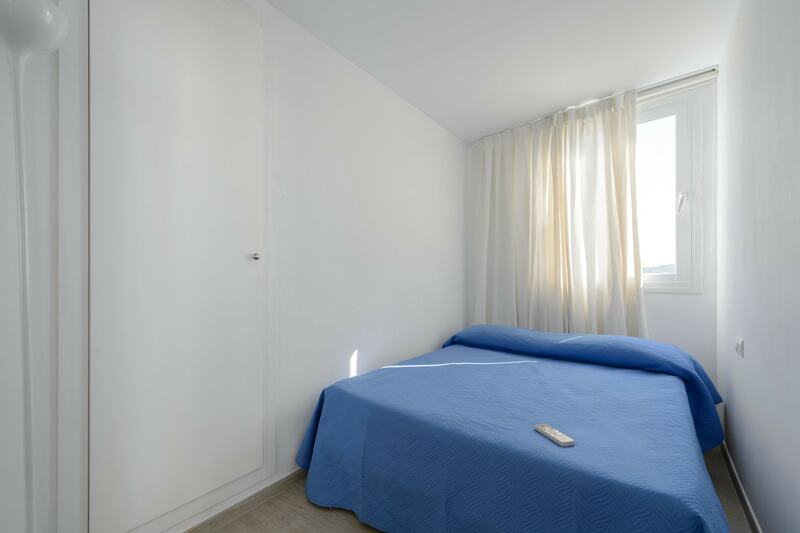 The accommodation is equipped with air conditioning, wi-fi, private parking and a beautiful swimming pool with sun terrace.